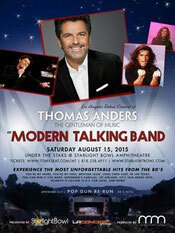 Thomas Anders & Modern Talking Band - LA Debut Concert - Thomas Anders Online - Die offizielle Fanpage! The pre-sales passcode is MTLAFans. April 1st, tickets go public.